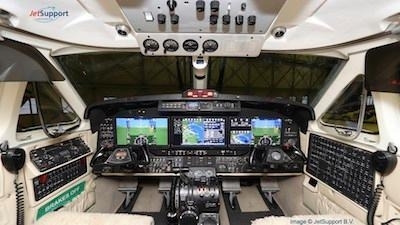 EASA has certified Rockwell Collins’ Pro Line Fusion avionics upgrade for Pro Line II-equipped King Air B200 and B300 series aircraft. JetSupport B.V., headquartered in Amsterdam, is the first European dealer to complete a Pro Line Fusion upgrade for the King Air B200, which completed its first flight on Sept. 4. The upgrade previously was certified by the FAA in 2016.